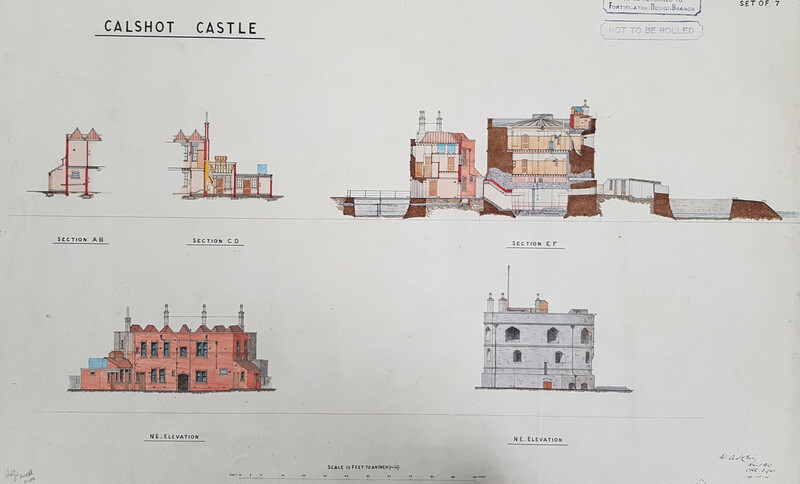 Calshot Castle is a mid 16th century stone built artillery castle with 18th and 19th century alterations, lying on Calshot Spit on the southern shore of Southampton Water. 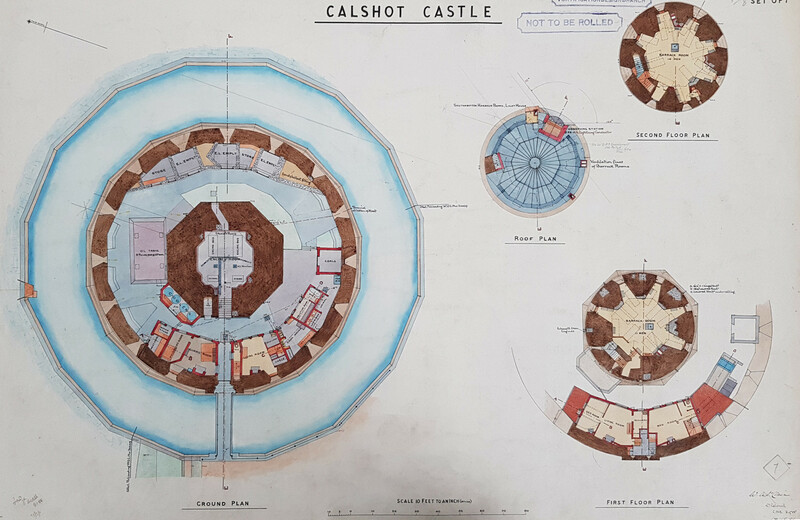 The symmetrical plan of the castle centres on a three storey gun tower or keep, separated from the surrounding curtain wall by a courtyard within which lie both accommodation buildings and later searchlight emplacements. 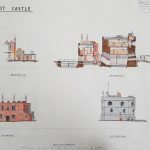 Fears of a French Invasion at the end of the 19th century resulted in the castle undergoing substantial modification to become an artillery fort once again after a long period of use as a Coastguard base combatting smuggling in the area. 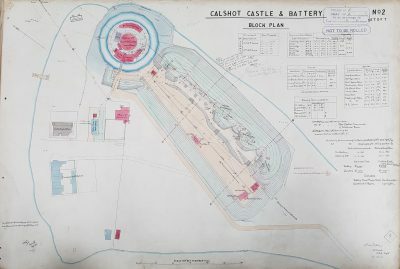 In 1894 a large quick fire gun battery was built to the south east of the castle, which was completed by 1897. this was supplemented by the installation of Defence Electric Lights installed on the castle to be used in conjuction with the battery and a boom was built across Southampton Water controlled by the castle. 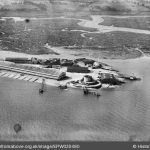 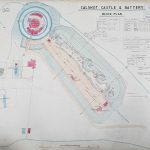 A set of detailed maps and colour drawings of Calshot Castle and battery completed in 1901 can be found in the National Archives WO78/4954 some of which have been reproduced for this article. 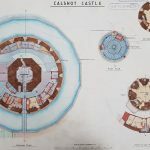 In 1907 Calshot Castle underwent its last major modification as a fortress; the roof of the keep was strengthened to permit the installation of a pair of quick fire guns to augment the adjacent battery. Calshot Castle and its adjacent battery were stripped of their weapons before the end of the World War I. 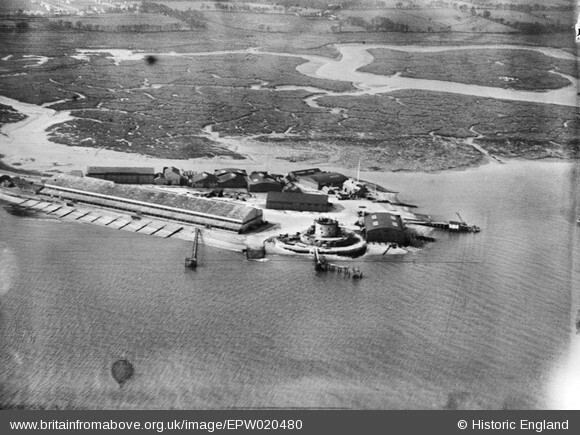 The battery had been completely removed by the late 1920’s when aerial photos available from Historic England through the Britain From Above website show hangers built on where the battery once stood.